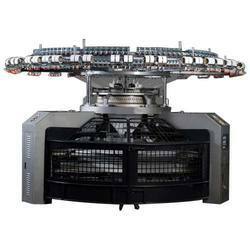 We are one of the leading providers of Circular Knitting Machine in the market. It is developed in compliance with industrial standards. - Two side Dial and needle cylinder are drove by the synchronous belt with light machine load and simple needling method, it can freely convert the cotton wool and ribwork. - The needle cylinder is fixed in the table with bearing instead of the traditional wire runway and wearable block. Maximum precision and an uncompromising innovative drive are the strengths which distinguish Mayer & Cie as the global market leader for circular knitting machines. Customer satisfaction is our top priority. Your success is our success. 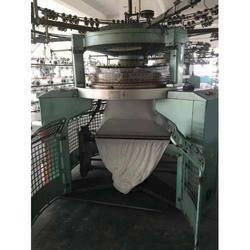 the machine can change into a 2tracks machine to knit various pk terry fabric. mainly produces high grade ladys garment, sports wear, night wear, baby wear and thermal wears, etc. The Korean giant in circular knitting, Keumyong, with the dedicated 200 strong team of pofessionals is catering to the world markets since more than four decades. Terrot single jersey C Frame Dia 30 gauge 24gg year 1999/2000 With creel Stand with all standard accessories. Terrot single jersey C Frame Dia 34 gauge 28gg year 1999/2000 With creel Stand with all standard accessories.